For most veterans of my age –I am 72– Appy’s book is a trip down memory lane but there is no associated feeling of nostalgia that accompanies this journey. The memories are embittering, infuriating and, in many cases, a source of horror. 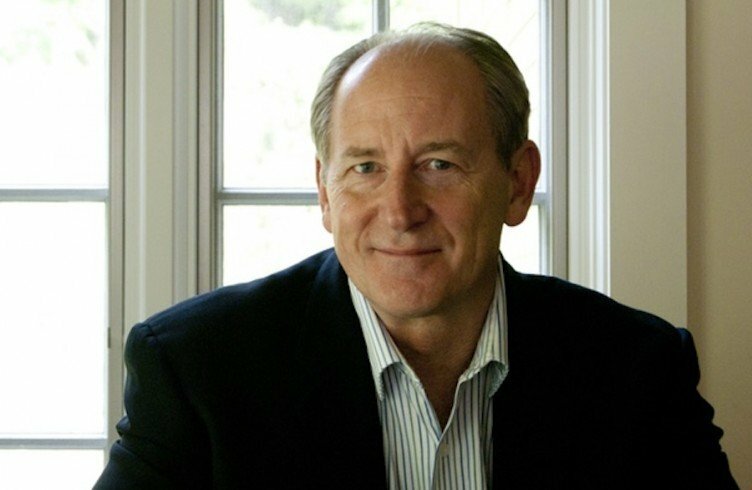 The entire thrust of Appy’s well researched text is that the national experience of the Vietnam War has destroyed one of the fundamental pillars of our national identity which is that the United States is a “unique force for good in the world”. This is the “central tenet,” as Appy would have it, of the doctrine of American exceptionalism. It is Appy’s argument that the belief in American exceptionalism, which is deeply rooted in American history, is one of the casualties of the Vietnam War. Appy begins by examining the American scene as it was at the tag end of the McCarthy Era when it was fervently believed that the expansion of “godless communism” must be opposed by a godly crusade. That much of our involvement in Vietnam must be understood in religious terms is a subtext that crops up repeatedly and was made explicit in the sermons and writing of many religious leaders, Bishop Fulton J. Sheen, Norman Vincent Peal, Cardinal Spellman, and Billy Graham to name a few. It would be all but impossible to find a political leader of the time who did not openly invoke our godly mission. It was a time when few citizens thought it bizarre that every showing of the The Ten Commandments, opened with a jeremiad by the film’s director, Cecil B. DeMille, warning that an unwatchful nation risked being ruled by a godless dictator –like Ramses. All but forgotten now, but enormously influential in the years immediately following the fall of Dien Bien Phu, was naval officer, missionary and physician Dr Tom Dooly who wrote Deliver Us From Evil (over a million copies sold) which presents the need to save the “catholic” south of Vietnam from the, once again, godless communists. An effective and impassioned speaker, Dooly spun lurid tales of communist atrocities which became common currency (I can remember some of these tales). In fact, they were fabrications. It would be naive to suppose that the Viet Minh never used torture but we might equally have focused on the routine use of torture by the French during the folly of the First Indo China war. When Eisenhower left office, in 1961, there were 800 U. S. military personnel in-country. When Kennedy was assassinated, 1963, there were 16, 700 with a corresponding increase in arms and economic aid. President Johnson, as so many know by direct experience, committed over half a million ground troops plus a host of other nominally civilian personnel. What Appy’s book makes clear is that this gigantic expansion could not have taken place without a massive façade of duplicity on the part of both political parties and the military. Members of Veterans For Peace in all probability know much of this but I would bet that many do not know all of this (I did not). I will not attempt a detailed enumeration of the more than decade-long policy of deception which was justified by the belief that if the American people knew the truth they would not support the war. It represents an astonishing history of the violation of a basic military dictum, well known to even the merest ROTC Cadet: do not reinforce failure. Appy makes it clear that Eisenhower’s 800 were failing and that Kennedy’s 16,700 were failing and that Johnson’s half million were in the midst of an ongoing catastrophe. Nixon chose to perpetuate that catastrophe for another five years. They lied. A later generation will say, “of course they are lying”. And so will most everyone now. But Appy argues that it was the simplehearted faith in American exceptionalism that allowed this deception to continue. The motivation for this ongoing deception was (and is) multifaceted. Political leaders lied in order to gain or retain political power; cabinet members lied to protect the administration (Robert McNamara, to cite a single instance, returning from a fact finding mission to Vietnam in 1966 told his aids that the situation was worse despite 100,000 troops and then ten minutes later spoke to the assembled press of “great progress”); Military officers lied in order to enhance or protect their careers. The truth, when it was spoken, was held in very limited circles – never for public consumption. Diem’s regime and all succeeding South Vietnamese regimes were unpopular and held in place by force; the bombing both below and above the DMZ was not working even as it rose to far above WWII levels; the practice of body count encouraged huge civilian casualties, was no measure of success, and fostered a corrosive acceptance of lies by field and company level officers. The cost in treasure was huge and hidden. Only the cost in American lives could not be hidden. Even early on, there were occasional bat squeaks of truth. I. F. Stone’s indefatigable labors among government documents revealed the hollowness of official policy. His March 8 , 1965 examination of a government white paper “Aggression from the North: The Record of North Vietnam’s Campaign to Conquer South Vietnam ” revealed that from 1962 to 1964 of the 15,100 weapons captured by South Vietnamese forces only 179 came from communist countries, a fact buried in Appendix D which evidently no one else had read. Bernard Fall, best known for A Street Without Joy, wrote in 1965 that the bombing in Vietnam was “pounding the place to bits”. Martha Gellhorn, published articles revealing the horrendous cost of the war to Vietnamese civilians. Her articles about burned Vietnamese children did not please the establishment. In 1966, Senator William Fulbright held televised hearings that grilled political and military leaders about the progress of the war. The witnesses held firm but the weakness of the administrations claims were starting to be exposed. 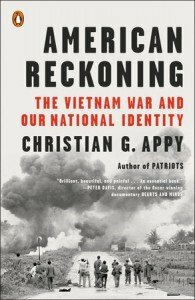 Appy does a particularly good job of describing the impact of the American way of war on the geography and people of South Vietnam. Country folk, not incarcerated in Strategic Hamlets, fled the bombing in droves into shanty towns around South Vietnam’s cities where they survived by serving the American military machine. Bombing seems to have been the chief killer of the possibly as many as three million Vietnamese who died during the war. Not mentioned by Appy is the fact that Quang Tri Province holds the distinction of being the most bombed place in the world and other provinces are not far behind. Other provinces are not far behind. Using aerial surveillance, Jonathan Schell determined that 70 to 80 percent of the houses in Quang Ngai and Quang Tin provinces had been destroyed by bomb, artillery, flame thrower bulldozer or the ubiquitous G. I. Zippo. Clouds of private contractors swarmed down on South Vietnam like locusts to build airfields (115), massive bases, post exchanges, deep water ports, roads. Eleven million tons of asphalt were imported. A common joke of the time was that we could pave over the entire country. Well we tried. In toto all this fostered something akin to a separate nation within South Vietnam. The vast sums of money associated with this multifaceted enterprise spread corruption through all segments of Vietnamese society. Of the staggering quantity of consumer goods shipped to Vietnam, an estimated 40 percent was stolen, rivaling the previous record established during WWII in Naples. Appy emphasizes the “bloodless” language used by McGeorge Bundy (et al.) who wrote of the bombing as a “stimulant” brought about by “air and naval action” during a “policy of “sustained reprisal.” The use of sterile, Aesopian language by the military perhaps reached its zenith during the Vietnam era as might be expected in a Pentagon led by Robert McNamara, a businessman and systems analyst who had once served as a statistician for General Curtis Lemay in the XXI bomber command. The use of jargon-laden systems theory with its emphasis on measurement tools such as body count and bomb tonnage can only have dampened the clarity of analysis. This is to be expected when war is described as “violence processing”. It is incontestable that many of those close to the President Kennedy and President Johnson displayed a near immunity to reality. Harvard professor (and WWII bombing analyst) Walt Rostow was President Johnson’s national security advisor. The author of the influential The Stages of Economic Growth: A Non-Communist Manifesto, Rostow saw military intervention as necessary to facilitate these stages. The idiocy of bombing to bits the nation you were trying to foster through the stages of economic growth did not penetrate his mind. He greeted all setbacks –the collapse of the Strategic Hamlet Program, for example—with what Appy calls an “impervious optimism”. Surrounded by such men, President Johnson soldiered on bolstered by graphs and charts of fictitious measurements – and outright lies. Appy notes the frustration of CIA analyst Sam Adams whose bleak reports were dismissed. He called General Westmoreland’s estimates of the number of enemy soldiers as a “monument to deceit.” This atmosphere continued until the Johnson administration was stunned by the TET offensive shortly to be followed by Westmoreland’s clueless request for 200,000 more troops. It is sad to have to report that under General Creighton Abrams Command (1968 to 1972) the emphasis on body count continued and it didn’t matter if the bodies counted were civilians. Operation Speedy Express produced a body count of 10,889 but only 748 enemy weapons. My Lai undercut the honor of the United States Army. Racial tensions and the reluctance of soldiers to participate in what they regarded as a hollow mission under stupid leadership rendered the army, already reduced in numbers, less and less effective. Appy notes a figure of 333 fraggings in 1971. United States forces left South Vietnam in 1973 –at least officially. The end came in 1975 and was stunningly swift and dramatic. The “television war” became the television bug out. Much of the public felt cheated. In point of fact they had been cheated for a decade and tens of thousands had been cheated out of their sons and daughters. In 1980 Ronald Reagan pronounced the Vietnam war a noble cause. Many, usually not much connected with the actual war in Vietnam, embraced the “noble cause” and blamed its failure on the press, draft dodgers and drug-addled dissidents. Many advocating the “noble cause” veered into a full-fledged stab in the back theory. When nations lose wars they make movies about winning wars. It’s soothing: hence Nixon’s obsession with Patton. So it is with films about Vietnam, very few of which portray ground combat in Vietnam in a realistic fashion. Battles are won; prisoners are rescued; and the Viet Cong are outfoxed. How could we have lost the noble cause when we had Rambo on our side? Appy takes up the wars in Afghanistan and Iraq in penetrating fashion. It is the American way of war writ large. An unimaginable treasure has been spent since 9-11 on the outsourcing of security and construction. The political impact of the huge companies benefitting from this is enormous. We hear the same Aesopian language: “surge”, not escalate; ”enhanced interrogation”, not torture; “blowback”, the cost and disastrous consequences. We have learned to expect lies about the true nature of conflicts that are increasingly held at arm’s length or, better said, at the height of a drone. Only a tiny percentage of Americans has any connection with these sanitized conflicts characterized by the mawkish and profitable patriotism portrayed on television. Appy closes with a warning: so long as the great majority of Americans support American exceptionalism –and Appy notes a USA/Gallop poll that suggests that they do—there will be a “disconnect between the ideals and priorities of the public and the reality of a permanent war machine that no one in power seems to be able or willing to challenge or constrain”. Perhaps, then, the true path to American exceptionalism is always to question it. Hillary Clinton once dreamed of ‘revenge’ on Kissinger for Vietnam ‘carnage’. Then she got over it.